The World Badminton Federation launched on january 2018 its new International World Tour, as a remplacement of the Metlife Superseries. 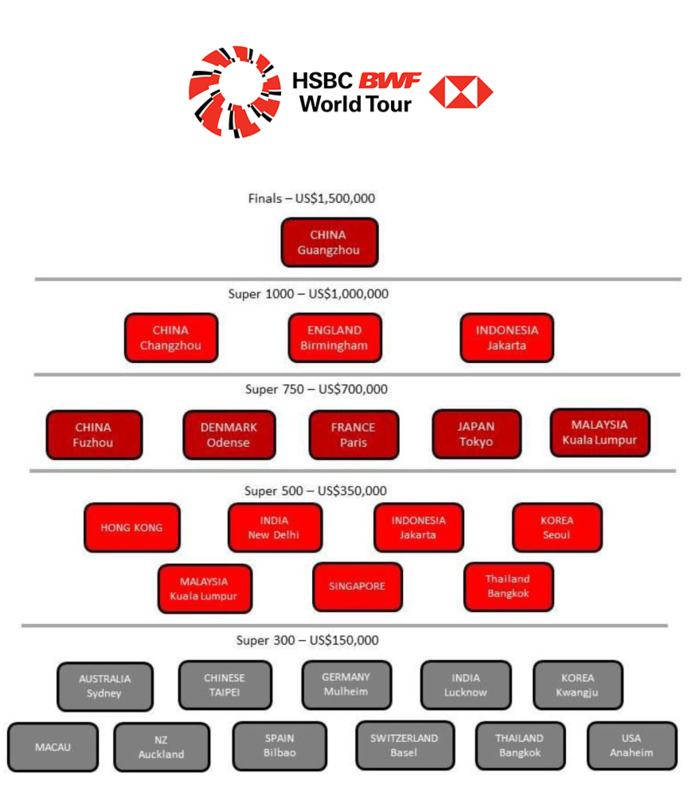 The French Tournament will become more important, as it reaches the third level, called "Super 750"
The HSBC BWF World Tour features five levels, with million-dollar prize money in each of the top four events. At the pinnacle is the signature HSBC BWF World Tour Finals with a shared jackpot of US$1.5 million. The other three levels showcase a branding and numbering convention that easily identifies them as a cohesive event structure.